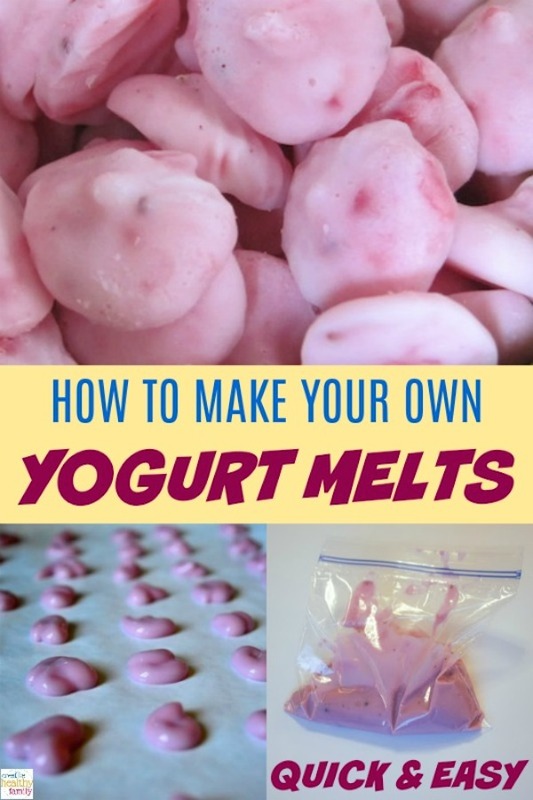 Homemade Yogurt Melts are easy to make and so delicious. They are really the perfect treat for babies starting on solids, toddlers, kids and adults too! My son loves yogurt melts! So, I decided to look for a homemade alternative to the store bought versions. They are first of all super expensive and after reading the ingredients (loaded with sugar and preservatives), I decided to try making them myself. They don’t come out perfect in shape, but the taste is great, and they simply disappear in a couple of minutes! If you are interested in more homemade snacks ideas please see Creative and Healthy Snack Ideas. I am always looking for natural alternatives to processed foods that I can easily make at home. You can also try my 3 Ingredient DIY Chocolate , or my Healthy Sweet Potato Brownies recipe. They are simple recipes that incorporate healthy ingredients and no refined sugars. Remember that homemade food is always the best choice for you and your family. 1. All you need is your favorite yogurt. I highly recommend a plain yogurt, flavored at home with fruits and a little honey or maple syrup. Just blend your favorite fruits, fresh is best, but frozen will work too. First, puree your fruits it in a high speed blender. Then add about twice as much plain yogurt (greek yogurt is a great option for your yogurt melts) and mix everything well. Add some honey or maple syrup if you want them sweeter, or if you are using fruits that are not too sweet like berries. I use Winter Park Honey Palmetto Honey (Pure Natural Raw Honey) 16oz to sweeten my plain yogurt. Learn about the health benefits of eating raw honey here: Benefits of Raw Honey. If you really don’t have time, you can simply use a store-bought flavored yogurt. Make sure you buy one that is all natural and doesn’t have a lot of sugar, the idea is to make it a healthy snack. 3. 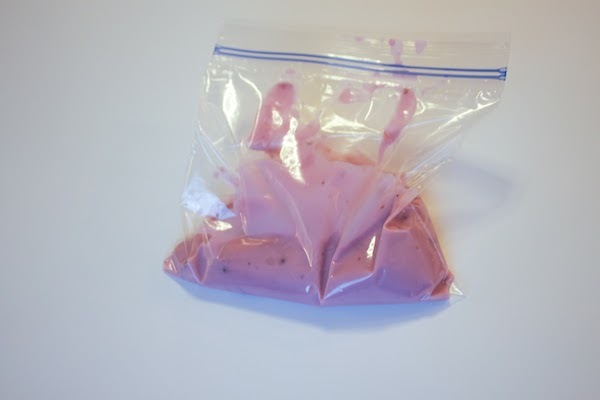 Freeze your Homemade Yogurt Melts for a couple of hours and they will be ready to enjoy! You can also store them in a freezer-safe container. There are so many combinations for your homemade yogurt melts, and you can even blend fruits with veggies making this snack even more nutritious! Strawberry and banana, apricots and pear, pears and peeled apples, or mixed blueberries, raspberries and blackberries. You can also try adding some spinach, kale, carrots, beets or cucumbers. If you like, sprinkle in a bit of cinnamon for added flavor. Remember for each cup of puree fruits/veggies use 2 cups of yogurt. Add some honey or use vanilla yogurt for a sweeter taste. There are so many different combinations to choose from! Liked this idea? 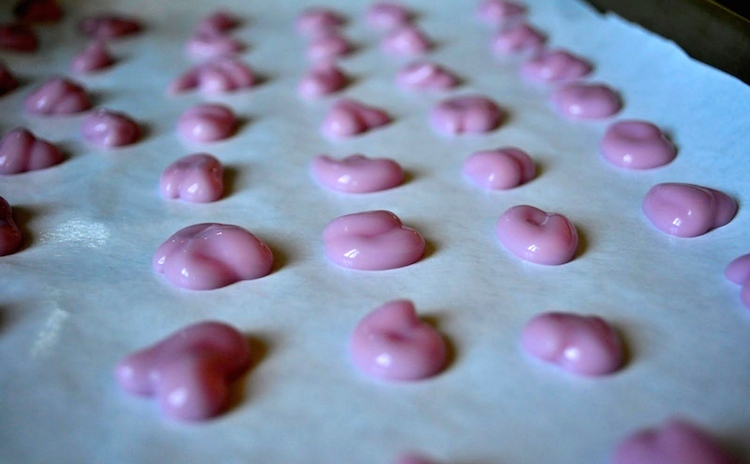 Then, you might want to try my Homemade Healthy Gummies recipe. Another great healthy alternative to store-bought versions that contain artificial colors, flavors, and lots of sugar. I really hope you enjoy this recipe, and please let me know if you have any questions. I am a mom blogger who loves to share ideas for a healthy family lifestyle. I am not a chef or have a lot of experience in the kitchen, so most of my recipes are very easy to make. I believe in simple recipes made with high quality ingredients. Wondering–do these need to be eaten frozen or will they maintain their shape? Can’t wait to try them!!!! Hi Deanna, I am glad you liked the recipe. Let me know how it goes and if you have any other flavor ideas. 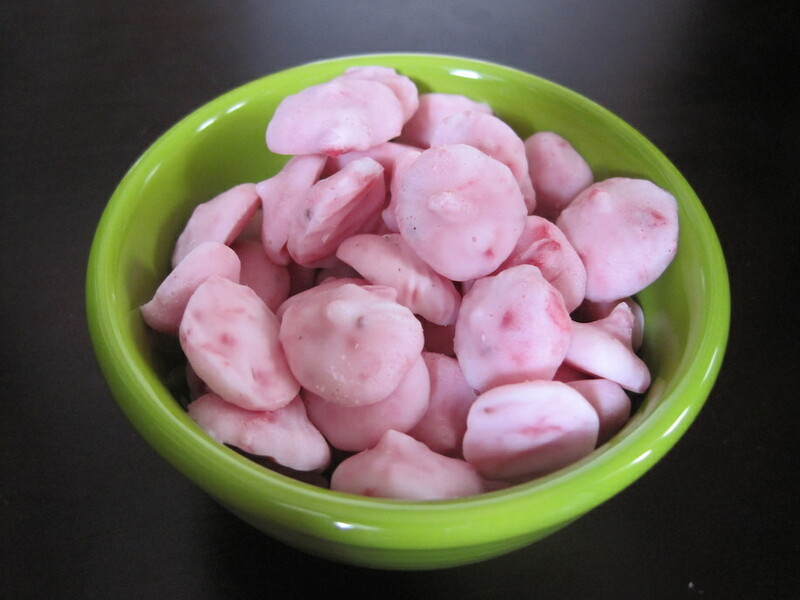 Homemade yogurt melts are not freeze-dried so yes they melt. You can keep them in a freezer bag and serve as an at-home, non-portable snack. I haven’t done it but I’ve heard that yes, you can put them in a dehydrater. I mixed yogurt with whiped egg whites and baked in 250 oven came out very light and fluffy, just like the ones in store. whats the proportion of egg white and how long should it be in oven?